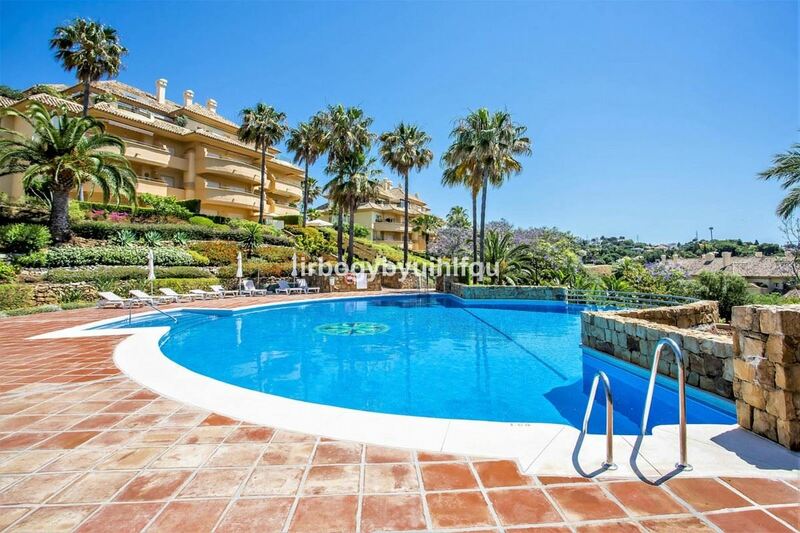 Middle Floor Apartment in the well known urbanization Elviria Hills, in Elviria, East of Marbella. It has 2 bedrooms and 2 bathrooms. Corner apartment offering a lot of privacy. The terrace has been closed with glass curtains, being very pleasant during the winter months to enjoy the terrace throughout the year. It is sold furnished. The urbanization has a 9-hole golf course, practice field, gym, tennis courts and a restaurant with Michelin star, "El Lago". It is also very close to other golf courses, shops, schools, Puerto de Cabopino and only 10 minutes from downtown Marbella. It includes parking and storage. Climate Control : Hot A/C, Cold A/C, U/F/H Bathrooms. Features : Covered Terrace, Lift, Fitted Wardrobes, Private Terrace, Gym, Tennis Court, Storage Room, Ensuite Bathroom, Marble Flooring, Double Glazing, Restaurant On Site.